We develop initiatives that focus on meeting the challenges of worldwide aging with groundbreaking market solutions and progressive public policies. Through our white papers, roundtables, webinars, presentations to third parties, and other communications materials, we are leading the global aging dialogue and providing public education designed to enable healthier and more active aging. On July 9-10, 2019, the Government of Finland and the Global Coalition on Aging will convene the first-ever Silver Economy Forum for government and business leaders. 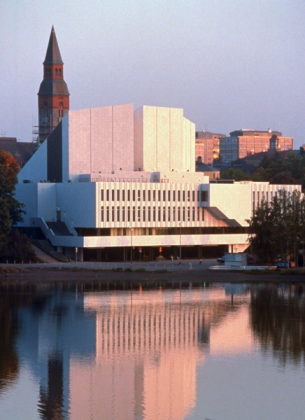 Helsinki is the site of this first-ever conference, as Finland is one of the world’s oldest nations, the concurrent seat of the EU Presidency, and the home of innovations in policy-making and business successes targeting the aging population. The Forum also coincides with the EU Ministerial and occurs on the cusp of the World Health Organization’s Decade of Healthy Ageing. 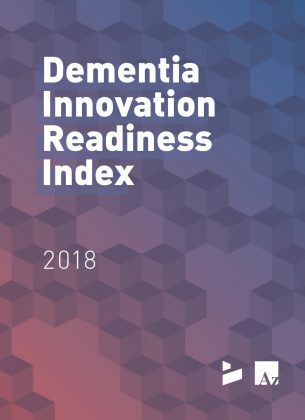 On July 27, 2018, GCOA and Alzheimer’s Disease International (ADI) released a new Dementia Innovation Readiness report for 2018, along with an update to the 2017 Index. The new report and the update officially launched at the ADI conference in Chicago. The Guiding Principles for Age-Friendly Businesses help companies create workplaces that embrace and support workers of all ages – key to success in a rapidly aging world. Companies that endorse these seven principles not only will be seen as forward-thinking and ahead of the game, they also will be positioned to realize tangible gains in productivity, competitiveness, and worker satisfaction. GCOA's Remote Care Delivery initiative engages a diverse and cross-sector group of stakeholders in the RCD ecosystem, to, together, urge providers, payers, researchers, patients, caregivers, and advocates for healthy and active aging to adopt remote care delivery as a standard of care. In June 2016, GCOA launched a groundbreaking report demonstrating how relationship-based home care can enable ongoing delivery of high-quality, person-centered, and outcomes-based care to older adults while bending the healthcare cost curves exploding across Europe. 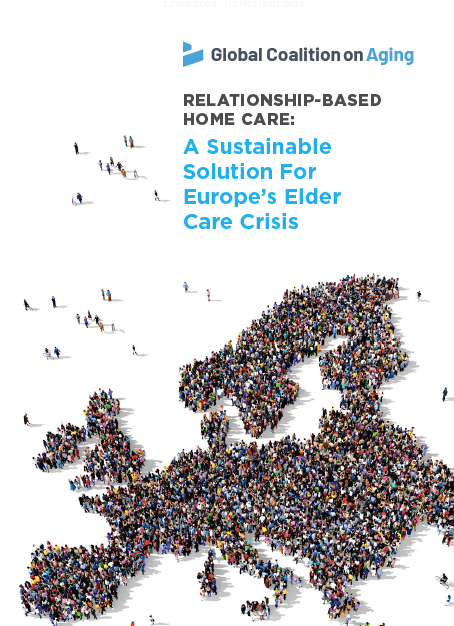 This report outlines the benefits of relationship-based home care to individuals and their families, to the care ecosystem, and to societies and proposes a set of policy actions to support the integration of this innovative form of care into European health and care systems. The seventh annual Aegon Retirement Readiness Survey draws on findings from workers and retirees from 15 countries spanning Europe, the Americas, Asia, and Australia. 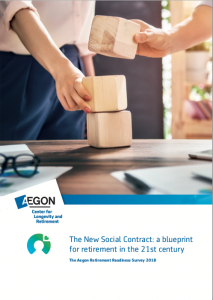 The 2018 report finds that the “social contract” for retirement is crumbling, and almost half of today’s workers and retirees believe that future generations of retirees will be worse off. 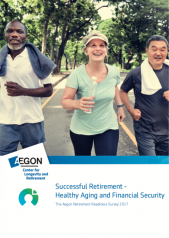 The Retirement Readiness Survey is a collaboration among Aegon Center for Longevity and Retirement (ACLR) and nonprofits Transamerica Center for Retirement Studies® (TCRS) and Instituto de Longevidade Mongeral Aegon. 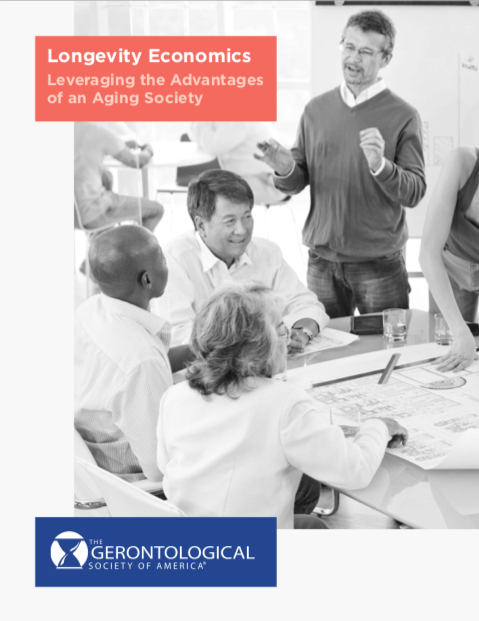 According to this new report from the Gerontological Society of America and Bank of America Merrill Lynch, older Americans — growing in numbers and diversity — will be key to the nation’s future economic health, but the public and private sectors must adapt to these demographic realities. The report aims to stimulate a policy conversation on how society and the economy can make the best use of living longer. GCOA’s Remote Care Delivery initiative engages a diverse and cross-sector group of stakeholders in the RCD ecosystem, to, together, urge providers, payers, researchers, patients, caregivers, and advocates for healthy and active aging to adopt remote care delivery as a standard of care. In October 2017, GCOA launched the Remote Care Delivery initiative, which aims to leverage and mobilize cross-sector expertise to advance the uptake of RCD as a driver of healthy, active, and productive aging, and to encourage action at the global policy level. RCD includes videoconferencing with healthcare providers, tablet-based patient education, and devices that can prompt and track diet, exercise, and medication usage. It creates benefits across the health care system leading to reduced costs and improved outcomes for patients. In October 2018, GCOA organized and host an expert consultation in partnership with the OECD and Cornell Tech. The roundtable discussion explored the challenges, technological breakthroughs, and health system benefits of remote care monitoring and delivery in a global context. For more information about this event, please visit the OECD website. In April 2018, GCOA convened a roundtable discussion focused on the conditions of aging, including reduced bladder control, declining oral health and skin health, loss of vision and hearing, and decreased bone density and muscle mass. The private convening brought 23 experts together in Washington, DC, to discuss conditions of aging and their impact on quality of life. Conditions are commonly accepted as a normal part of aging and therefore often go unaddressed. The objectives of the roundtable were to raise awareness among policymakers, health systems and individuals conditions of aging impact quality of life and to encourage action to improve health outcomes and reduce costs within the health care system, care delivery models and public policy. This Bank of America Merrill Lynch report, conducted in partnership with Age Wave, takes an in-depth look at women’s financial journeys over their lifetimes. Women face different and financially complex life journeys than men. These differences are due to factors that include caregiving, higher healthcare costs, and longer lifespans. The report finds that while women live longer than men, they have smaller nest eggs to fund their longer retirement. Due to the wealth gap, upon retirement a women on average will have accumulated $1,055,000 less wealth than a man, which significantly impacts their retirement security. In April 2018, GCOA and Novartis co-hosted a think tank to explore strategies for re-framing how society views heart failure. The think tank convened nearly 30 experts from global health, the private sector, academia, and health care and non-governmental organizations to generate ideas about how to raise awareness about heart failure; improve monitoring, earlier detection and diagnosis; design messaging and communications for the re-framing; and align on next steps. 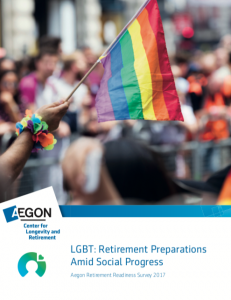 Breaking the stereotype often portrayed on TV and in the media of LGBT couples leading glamorous and expensive lifestyles; recent research from the Aegon Center for Longevity and Retirement shows that LGBT households fall behind their heterosexual counterparts across the board when it comes to earning power. 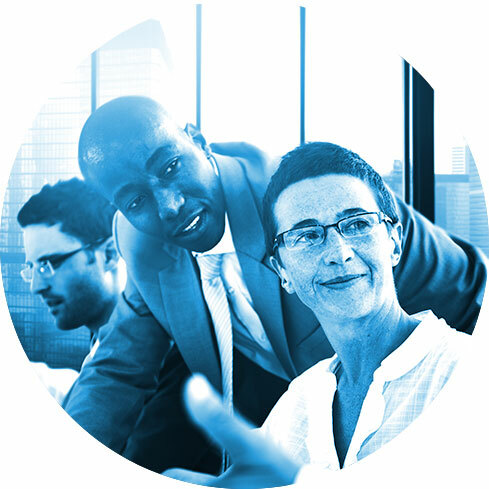 This Deloitte report on human capital trends points to aging workforce as an important untapped resource and potential differentiator for organizations. According to the report, companies that plan, design, and experiment with workforce strategies, workplace policies, and management approaches for longer working lives can reap a longevity dividend. Those that lag behind face potential liability concerns and skill gaps. Creating ways for people to have meaningful, productive multi-stage and multidimensional careers is a major opportunity to engage workers across generations. 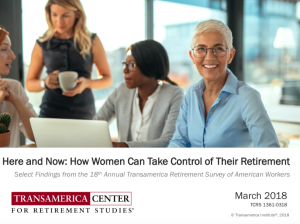 This report, based on findings from the Transamerica Center for Retirement Studies “18th Annual Transamerica Retirement Survey of Workers,” highlights specific areas of opportunity for women (and offers comparisons to men). The report also outlines some of the underlying reasons why women are at greater risk than men of not achieving a secure retirement, such as lower incomes, lower lifetime earnings, time out of the workforce to be a parent or caregiver, and longer life expectancies that drive a need for greater savings. This GCOA report highlights the impact bladder health can have on quality of life as one ages and stresses the need for greater awareness of and new, innovative treatment options for overactive bladder (OAB). OAB is an increasingly debilitating, yet often unrecognized and under-addressed condition of aging affecting 30 million Americans. From 2015-2017, Nestlé Skin Health partnered with the International Council on Active Aging each September to lead an education and awareness campaign during Active Aging Week. Nestlé Skin Health develops and shares a set of fact sheets, videos, how-to guides, educational tools and quizzes to inform Active Aging Week participants about good practices to support skin health, a critical component to successful aging. The materials include information on how to recognize and prevent skin conditions and diseases that increase with age, such as skin cancer, dry skin associated with chronic diseases, side-effects of oncologic drugs, and even falls. The tools empower individuals to take control of their skin health at any age. 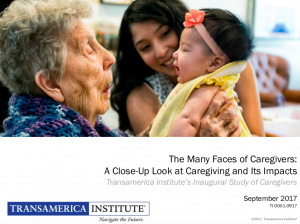 Transamerica Institute’s survey of 3,000+ non-professional caregivers nationwide examines their duties and the impact caregiving has on their personal health and well-being, employment, finances, and retirement preparations. It offers an in-depth analysis and demographic portraits of caregivers by employment status, gender, generation, household income, ethnicity, and whether they are the primary caregiver and became a caregiver voluntarily or not. The report also offers detailed findings about care recipients, including their health status and financial situation. 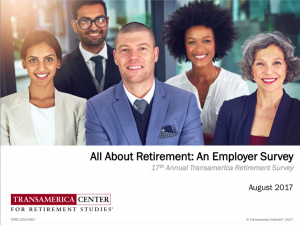 For its 17th Annual Retirement Survey, the Transamerica Center for Retirement Studies interviewed more than 1,800 for-profit employers with five or more employees to understand employers’ views on their employees’ future retirement, the extent to which they have business practices to support employees, and the current state of retirement benefits offered. Andy Sieg, Head of Merrill Lynch Wealth Management, and Age Wave CEO Ken Dychtwald delivered the keynote “The Longevity Revolution and Its Emerging Economy” at the 2017 IAGG World Congress of Gerontology and Geriatrics — the largest worldwide conference on aging. Kevin Crain, Head of Workplace Financial Solutions at Merrill Lynch, facilitated a lively discussion between the Sieg and Dychtwald on ways the private and not-for-profit sectors can collaborate to help people live long, healthy, and productive lives. 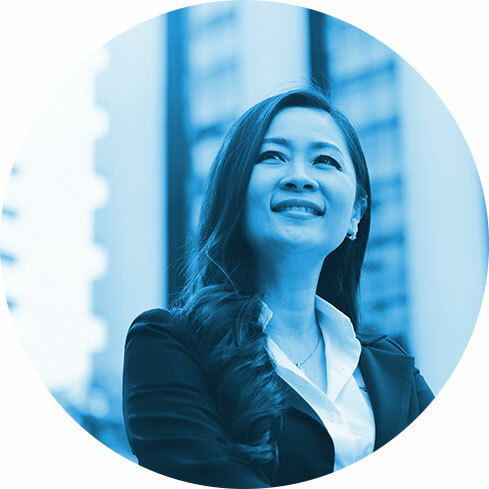 The sixth annual Aegon Retirement Readiness Survey draws on findings from workers and retirees from 15 countries spanning Europe, the Americas, Asia, and Australia. The 2017 report finds that both good financial habits and a healthy lifestyle are critical components of preparing for a successful retirement. The report also confirms that the gap between people’s expectations for retirement and the reality remains stark. 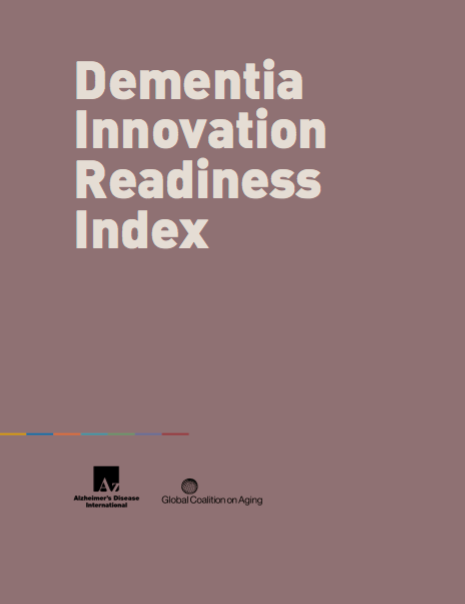 In April 2017, GCOA launched the first ever Dementia Innovation Readiness Index, a comprehensive evaluation of innovation in dementia treatment, prevention, and care across G7 countries. The Index examines the current landscape in which actions to combat dementia are occurring in terms of the enablers of and barriers to innovation. By doing so across the G7 countries, the Index draws out best practices and identifies areas needing improvement. The Index launched in Kyoto, Japan, at 32nd International Conference of Alzheimer’s Disease International. GCOA will launch an update to the Index at ADI on July 27, 2018. Nestlé Skin Health SHIELD, the company’s global network of innovation hubs, developed an itch tracker, the first tool of its kind to objectively measure itch severity. The tracker, designed for use with the Apple Watch, can be used to track the effectiveness of itch treatment and is particularly useful for managing itch in those with Alzheimer’s disease and others who may not be able to communicate or accurately quantify their discomfort.